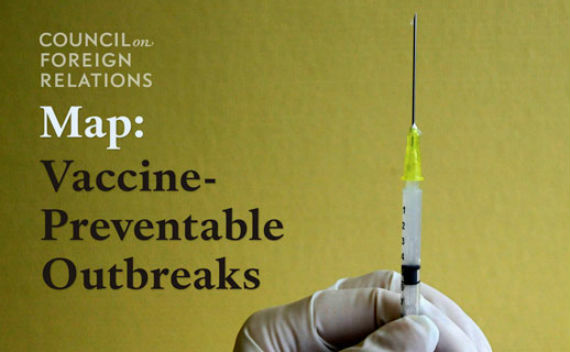 You had your MMR vaccine last week (measles, mumps, rubella) and haven’t been the same since. First you broke out in what looked like hives (though the lazy women at crèche sent you home with chicken pox – varicelle. I asked them where you would have got it and they admitted that there had been a case at crèche two weeks prior though they weren’t sheepish about it, they still acted like you were ‘typhoid Mary’). The skin on your face which is always dry, red and chapped (everything is dry here, I must get better about using your humidifier) got worse. Then your eyes swelled up. Then they started oozing yellow goop and you’d wake up from your nap or in the morning with them sealed shut, scared and crying. Normally calm and easy, you were suddenly fussy and needy, crying and whining if I left your side for even a moment. Of course this all happened on Friday evening and over the weekend, so I couldn’t make an appointment with a doctor. And of course it was the busiest workweek for your father, so while he’s often at home, he wasn’t during this time. Well-meaning moms here told me you had conjunctivitis (pink eye) and that it’s highly contagious. I had to suffer through lunch with a smug mom whose three-month-old son slept the entire time and the only time he woke up he ate from her breast and then looked cutely around while you fussed, threw things everywhere, and scratched and itched at your eyes and face. The waitress repeatedly remarked on how cute the other little boy is without thinking how that’d be for me, or you (I didn’t tip her for this and because she was an awful waitress). Granted, my gorgeous boy (you!) wasn’t up to par and looking your best, but still. Bright and early Monday morning I called the doctor and when they told me it was ‘complicated’ to get an appointment for the same day, I begged and prevailed. I then got lucky and got a parking spot not hideously far from the office so that I could slowly and carefully carry you through, and over, the snow and ice. The doctor determined that you have an ear infection and bacteria on your face and in your eyes, and prescribed a general antibiotic. I took it, thanked him, and left. But then I got to thinking that you’d just had the MMR vaccine (and had had a cold when given it) and that takes a lot out of babies…and that you’d had antibiotics – twice – in September, a mere three months prior…and that you’d just seen another doctor the week before (for the MMR and 9 month check up) and she’d not noticed that your ears were infected, and she had looked…so then I got to thinking that I’d maybe done the wrong thing by starting you on the antibiotics, that maybe I should have questioned these things more when they were prescribed, that I shouldn’t have had the MMR done while you had a wee cold (though I did mention this to the doctor), that I am a ‘bad mommy’ and I’m hurting my wee boy. A friend of mine in London who is smart and modern, I respect her, told me when I told her about my fears, that there’s a rise in children getting measles and mumps, that death from measles is on the rise again in England ‘cause middle-class moms aren’t vaccinating their children and that I did the right thing. Your nu nu (Emma) that I trust and respect (two very hard things for folks to get from me) said that she didn’t vaccinate her boys due to all the information, too, and one of them got the measles. That she also knows that once you start antibiotics you have to finish them, so maybe this will wipe whatever is in your little system out once and for all, and she advised I go to the chemist and try to see if there’s something I can get to help your intestines build up their ‘good flora’ again. Well, I didn’t sleep much last night and today I was looking at you carefully in a paranoid manner to make sure that you still look one directly in the eye. But for the first time in several days it’s a gorgeous day and as my mother says ‘all things seem possible’ on days like this. So, I will make a point of going to the chemist after part 5 of my root canal and asking them about building up your ‘good flora’ again after telling them what the issue is (in French – bon chance!) and I’ve scheduled a doctor appointment for ME in a couple of days and I’ll cheekily raise a couple of my concerns regarding you, then. I wish I’d studied medicine. Or car mechanics. Something useful.